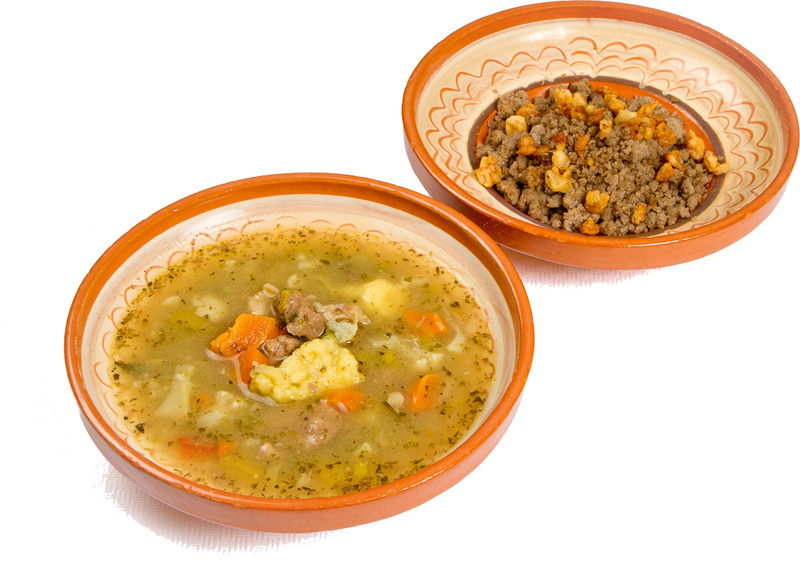 Herder dishes are present throughout the Alps, although they differ slightly from place to place. 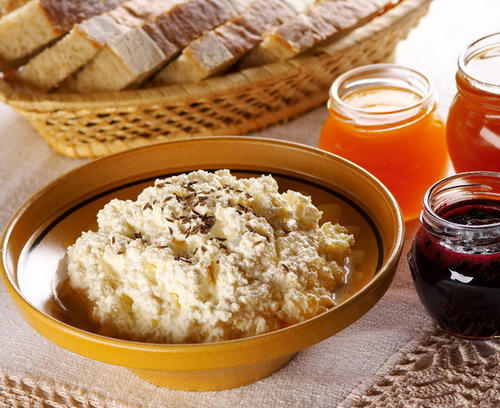 These of course include masunjek with sour milk, buckwheat mash stew, žlinkrofi dough parcels and roast lamb, all kinds of cheese and cheese spreads and also cured meat products. 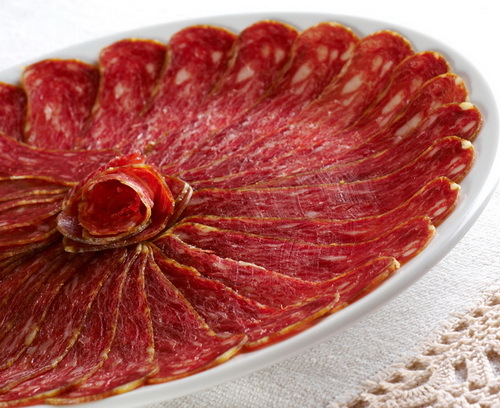 Geographically protected cured meat product from high-quality pork and bacon. 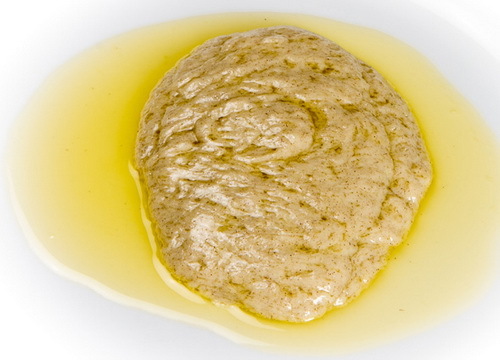 A semi-cured quark spread with an addition of cream, seasoned with salt and cumin. 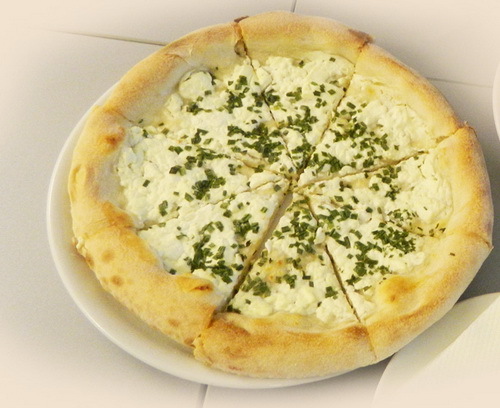 It is also suitable as a side dish with cured meats. Dough parcels filled with dried pears and topped with honey. They are a delightful dessert and will inspire the most sweet-toothed among us. 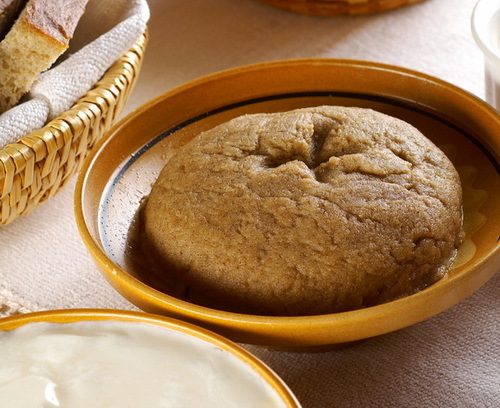 A farmhouse dish made from fried buckwheat or wheat flower doused in salted milk with an addition of butter and cream. 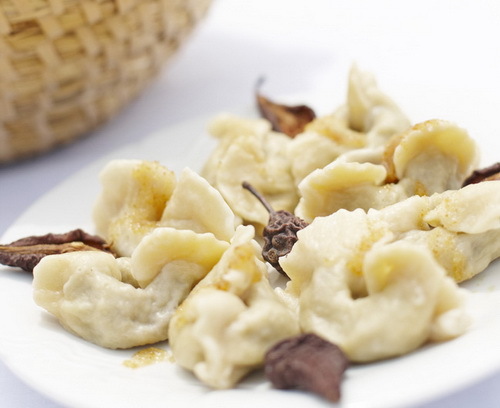 Ubrnenik can be shaped into a nice cone or balls and served with sour milk or white coffee. 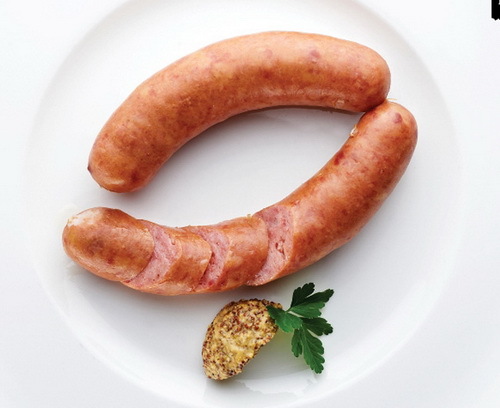 A semi-braised sausage based on the family tradition of the Kamnik butcher Podgoršek. The preserved family tradition associated with meat processing underlined the status of the town and townsfolk. 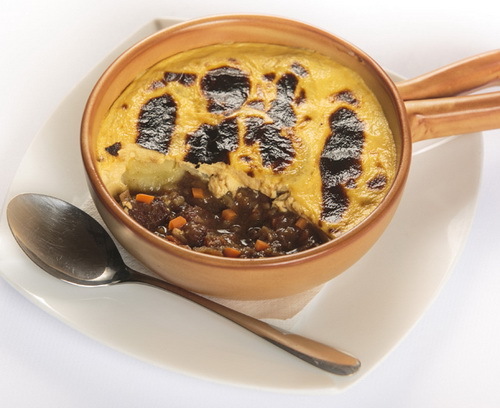 Traditional mountain pasture dish made of white, buckwheat or maize flour cooked in hot cream. It is served as a side dish with grain mash or spread on homemade bread. Mildly piquant mature quark cheese. Sirnek is great with black bread and apples. It also goes well with cured meat. 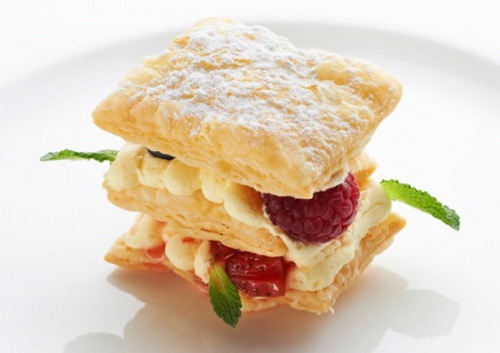 This cream slice originates in the Ursuline Convent at Mekinje, which offered well-to-do local girls individual cooking courses, which helped spread some dishes to the countryside. Traditional farmhouse dish made from fried buckwheat and dressed with cracklings. It can be served with sour milk, yogurt or white coffee, and also pairs up perfectly with sauerkraut and various soups or stews. 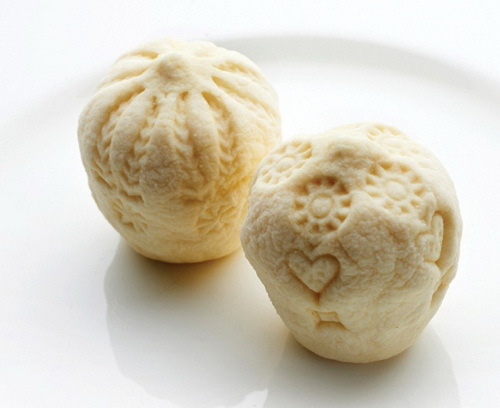 A salty pear-shaped cheese decorated with carved “writings”. It is typical of the pasturing tradition of Velika Planina. 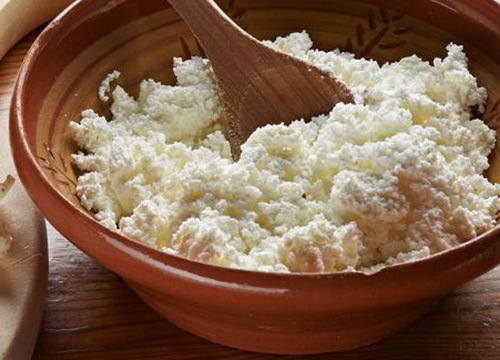 While baking bread in the villages around Preddvor, housewives would roll up a little piece of dough, spread it with quark or minced lard and quickly toast it on the edge of the oven.